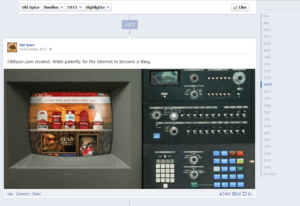 Raise Brand Awareness With Fun Facebook Timeline! Use your Facebook Timeline as a fun place to raise brand awareness and make your fans laugh. Learn how Old Spice did it, and see that you need only your creativity and a good designer to edit images. For fans it is not enough anymore to ‘like’ your brand’s page, they want to interact and discuss, and they want to have fun, while they are checking you out. Moreover, you really need to keep them excited with good content since only 16% of your fans see your posts. 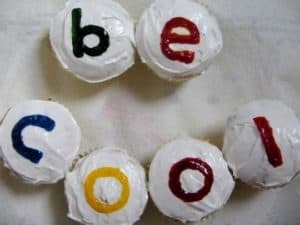 Remember – the activity of your fans can be measured, and if they have fun, they will spread the word about you and your coolness. If you thought Timeline would be your enemy during your triumphant march around the world when you gather your fans, just believe us – it can help you so many ways you could never imagine. Be creative – now you can release your imagination! Let’s see a great example: Old Spice was always known about their pretty cool campaigns, and their newest one is also a great idea! It was quite simple – they just spiced up a bit their Timeline on Facebook, and managed to create a huge buzz. They found out that the cool feature on Timelines called Milestones can be a great help in this. They just added some important events, stories and images to the notable dates on their Timeline as milestones. The result – thousands of shared and liked posts and images, a lot of buzz! Captain William Lightfoot Schultz invents Old Spice on a ship with his shipmate Rogue Stallion—a one-eyed Australian ninja leopard—when they accidentally mix space rocks, tank weaponry, a race-car spoiler, cool sunglasses and a vampire fang. Corporate communication is always an important thing – even if you are only a small company with only 5 colleagues! With some creativity you can let your fans into your company life a little bit – they will feel closer to you, start liking, commenting and sharing! Old Spice has great confidence! And what could be even more tempting for your fans? Winning something after they answer a question about your brand’s history! 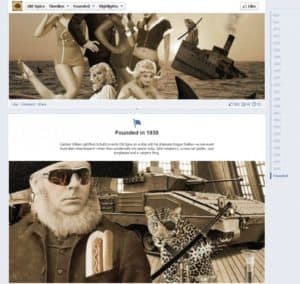 Your turn: how would you spice up your Facebook Timeline? Do you think it worth the effort? About the author: Zsofi Major is a Customer Solutions Specialist at Antavo Promotion App Builder. She helps marketers and agencies to create more efficient promotion apps to Facebook.